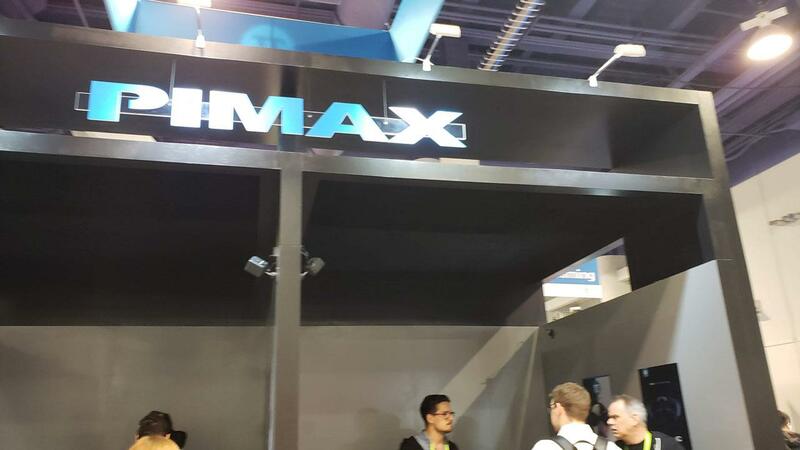 Eye tracking was one of the big things here at CES for the VR space and Pimax had their own implementation of the technology. 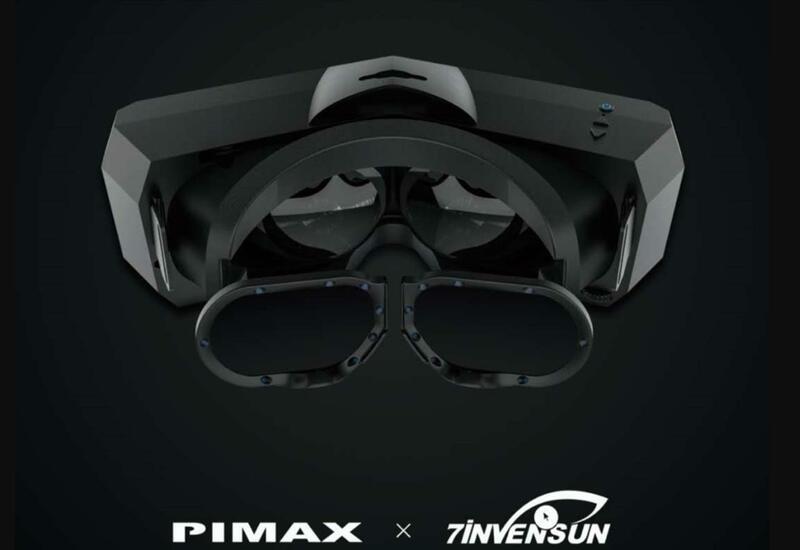 Unlike's HTC offering of a brand new headset, the Pimax eye tracking will be an add on piece for current Pimax owners. Backing up a little bit, I've never used a Pimax until Tuesday so I was going into it pretty open minded. The first demo I tried was Beat Saber and let me tell you, the way your vision (200 degrees FOV) is totally taken up by VR is pretty incredible. Not having to see any circular outline or looking like you're peering through a pair of goggles into a VR world really increases the immersion level tenfold. The screen door effect was kept to a minimal and wasn't nearly as noticeable if at all compared to say the HTC Vive Pro. Granted, in a quick convention setting where being pressed for time, I didn't take nearly as much time to go over each and every single detail of the visuals or the hardware itself, but being my first experience with this HMD, I was quite impressed. For the most part, the Beat Saber demo went OK, but there were tracking issues with my right wand. I was missing many strikes and I had my saber stuck in various positions, which the demonstrator was able to see on his screen. I chalk this up to convention settings as I also had a similar issue with the HTC Vive Pro Eye demo a few doors down. But when it worked, it worked really well and having the great visuals and Lighthouse tracking made the Pimax a joy to use. Now I had to go back yesterday because I ran out of time to try out Pimax's eye tracking module. 7invensun is the company doing this, different from HTC's partner which is Tobii. You can see in the picture the IR lights around the edge of the lenses, which are part of the add-on. After putting on the Pimax and doing some quick calibration, I was taken to a whack-a-mole type game where all I had to do was look at the mole to hit it. I was suggested to only look with the eyes and not turn my head. Also, I was told to take off my glasses as there could be some interference with them, something I didn't have to do at HTC's VIVE Pro Eye demonstration. I was told that the team is working on making sure that glasses won't be a problem come launch time. 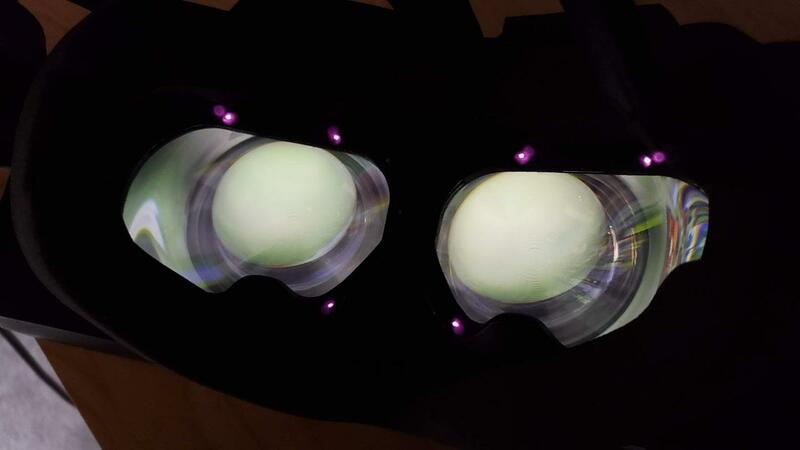 The eye tracking experience was mostly solid with some minor exceptions. Gazing into the middle and right side of the whack-a-mole board was almost perfect and I was able to quickly and easily score hits on them when they poke their heads out without any other interaction. The left side was an issue though as I would say 75% of the time, the eye tracking wouldn't show me registering a hit even though I was staring right at them. This could be some calibration issue or me holding the Pimax HMD a little off, (I was told to hold it up to my face to use rather than strap it in) but it is a beta product so there's time to get it to work more consistently. 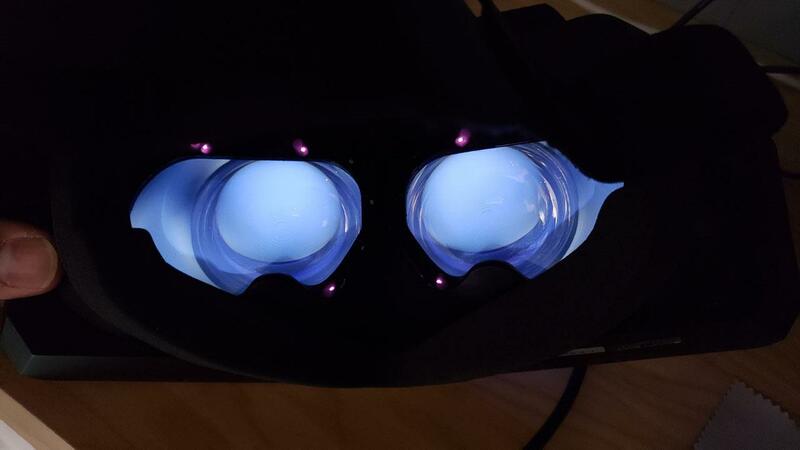 In comparison, I had no problems with the VIVE Pro Eye with their eye tracking technology in being accurate and quick. 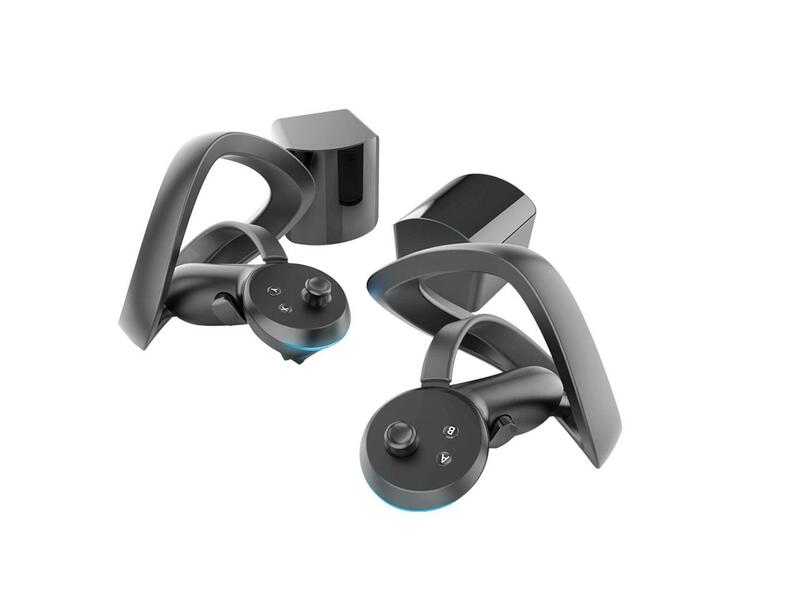 But it is impressive that at the level that it is, the ability to just plug it into a current Pimax and have it function the way it did made me really excited about the possibilities with both new control schemes and of course, foveated rendering. Pimax also had some of their knuckles controllers on display and while I didn't get to use them in a game, I was able to hold them and strap them in. Their design is a little different with a large sensing ring more your wrist, which is a little bit larger than the Valve knuckles controller. Like the Valve ones, you strap them in and can let go without fear of dropping them in the ground. There were two prototypes on display, one with a trackpad and one with a joystick. Both felt pretty good though once held in the hand. Now we'll just need the final versions as well as developers to add support for them in their games. 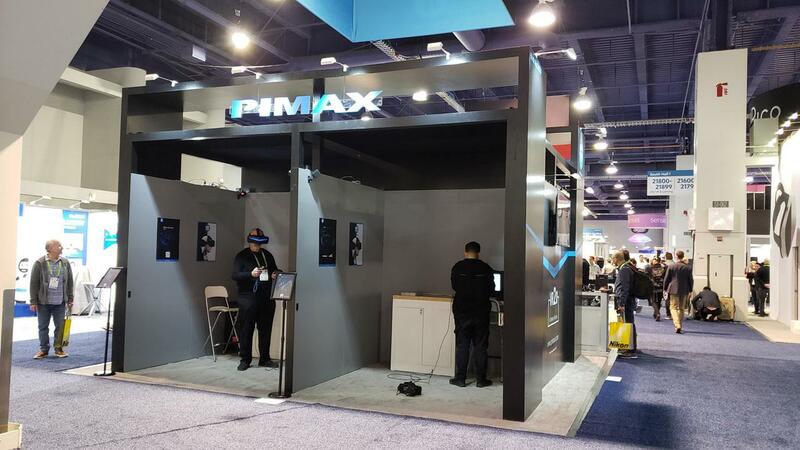 I talked with Kevin Henderson of Pimax US for a little bit and one of the things he really stressed was Pimax's new US support center that's coming in the near future to help with things such as repairs, returns, and basic customer support. One of my hesitations with purchasing a Pimax was support and one of the things that's making me hesitant to purchase new HTC products. Here's hoping Pimax's US support channel can help ease concerns in those areas as well as provide a good level of customer service where we aren't fighting with a company to get repairs or being made to wait a long time for a resolution. Kevin also talked a little bit about the wireless module. Right now, it works, but not to the point where it's consumer ready. And until they get it right, they won't release it which is good. 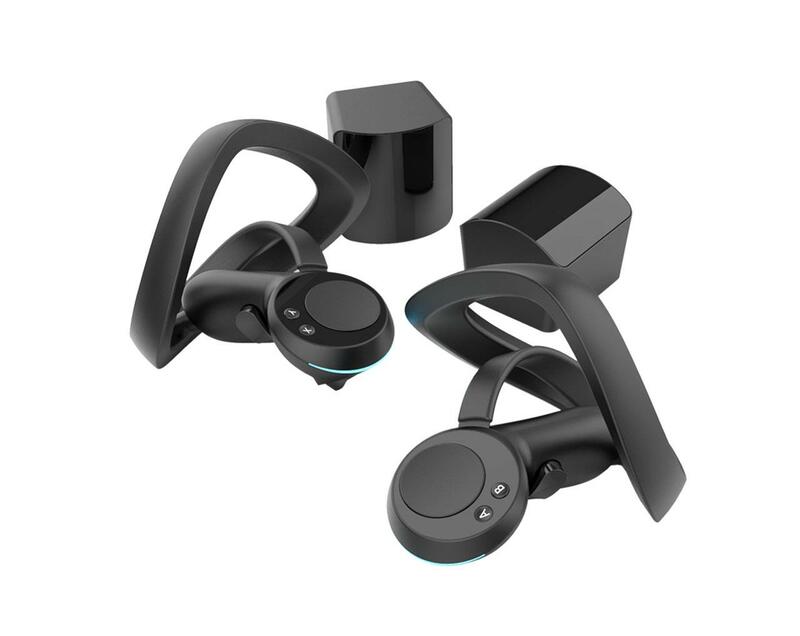 As much as a I love my wireless HTC Vive setup, having a wireless product that's not going to produce an experience that's the same or very damn close to being wired is not worth releasing. So my first experience with Pimax was a positive ones with some caveats. After having used one, I'm more inclined to pick one up so once I feel more comfortable about the HMD, I'll look to put some money down on the 5K+ version.